Whether you live in Los Angeles or not, you've most likely heard of Sqirl. What began as a preserves company five years ago is now one of the most popular breakfast and lunch spots in LA. Sqirl serves a market-driven menu, with reimagined classics as well as super creative specials, all in a tiny space in Silver Lake. My husband and I stopped by on a recent trip to LA, and there were so many intriguing things on the menu we wanted to try. We ended up ordering mostly breakfast, and began with perfect cappuccinos and the highly acclaimed (just browse through Instagram!) 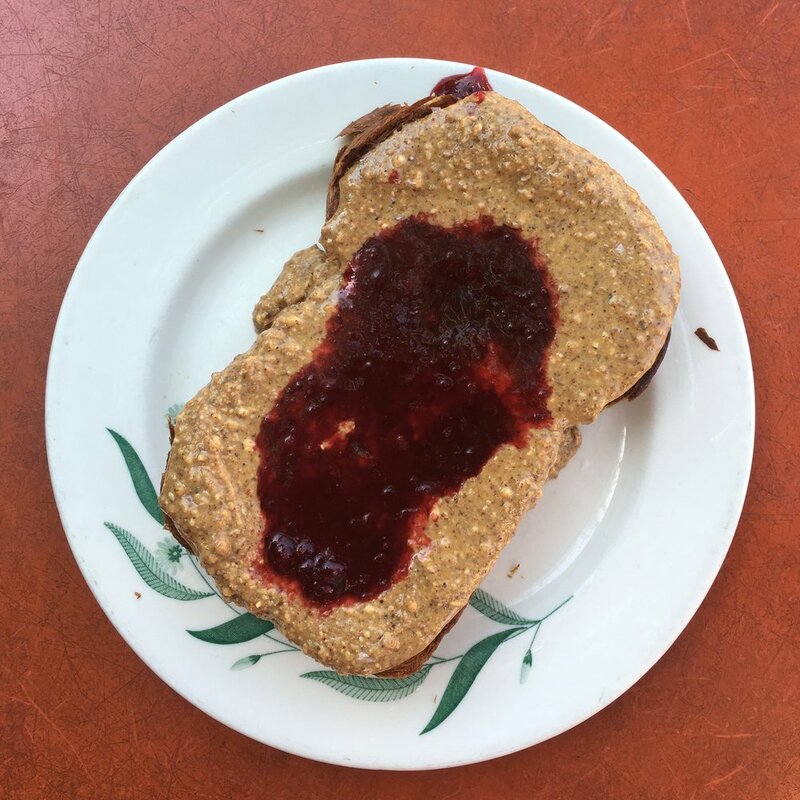 brioche toast: a thick slab of freshly baked bread, smothered i just-milled almond hazelnut butter and homemade olallieberry & aprium jam. Talk about a mouthful, and it was so satisfying and delicious. The smoked whitefish tartine was such a unique and complex use of flavors- with smoky eggplant and cilantro powder- I couldn't get enough! For a hearty vegetarian option, the chickpea flour "pancake" is a solid choice, and is perfectly balanced with the creamy labneh and fresh celery salad. Sqirl is also known for their baked goods, and while I surprisingly didn't try any this time, the Malva pudding cake, Sqirl power balls, and Valrhona & Fleur de Sel cookies looked particularly tempting. I look forward to getting a few next time I'm in town, as well as trying out the lunch menu!